Energy is for FIAMM an ongoing challenge: to absolute safety, to power, to best performance and to greatest savings. Our history proves it, talks about innovation and makes innovation. Titanium is our excellent solution that has brought together all responses in one product. But the energy doesn't stop at achievements: today Titanium challenges itself, by bringing new solutions, meeting new demands, being "the solution" in a nonstop changing market and in a world that is increasingly more energy. The new range Titanium is the challenge won. 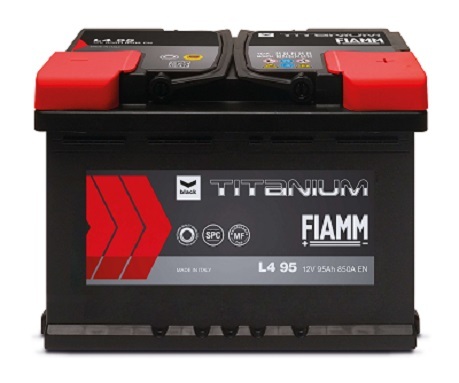 Today, the energy requirements of modern vehicles increase inevitably the demand of batteries that maintain the power for a long time. In order to face the new measures about CO2 emissions imposed by the European Union, car manufacturers have developed several models of hybrid cars equipped with different electrically powered devices, such as Start & Stop and Brake Energy Regeneration, which require a much more intensive use of the battery. 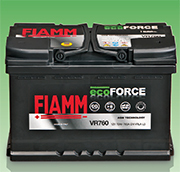 The new range of ECOFORCE batteries for micro hybrid cars provides a response to this need.